“Merchants of Doubt: How a Handful of Scientists Obscured the Truth on Issues from Tobacco Smoke to Global Warming”, the 2010 book by Naomi Oreskes and Erik M. Conway, is required reading in order to understand the threats to our health and overall survival posed by the well-funded pseudo-scientific think-tanks that have their origins in Cold War anti-Communism. As unlikely as it might seem, the very scientists who ExxonMobil and the Koch brothers pay to cast doubt on climate change are part of a network that got started in the 1950s when scientists, including those who worked for the tobacco industry, were at last coming to the conclusion that smoking causes cancer. The tobacco companies needed “experts” to obfuscate the issues just as the need them today to cast doubt on climate change. How and why this kind of bogus science was rooted in the anti-Communist crusade of the post-WWII era is laid out in compelling detail in “Merchants of Doubt”, a book that combines investigative reporting by a couple of science historians with a flair for detective work that would impress Agatha Christie. As a companion piece, I can also recommend the 2014 documentary of the same name that the book inspired. Ably directed by Robert Kenner, it can now be seen on Amazon.com streaming. Both the book and the film will leave you with the conclusion that some of America’s richest and most powerful corporations prostituted a group of scientists into betraying science to boost their patron’s profits. But on further reflection, it is likely that these men would have lied even if they had never received a penny since their ideological predispositions made them the perfect tools to carry out the corporate mandate. And on even further reflection after that, it probably does not make sense to refer to prostitution since it is an honorable profession compared to what these scientists were up to. The two most prominent figures in the study are Fred Singer and Frederick Seitz, names that will be familiar to you if you have ever looked at the misuse of science. 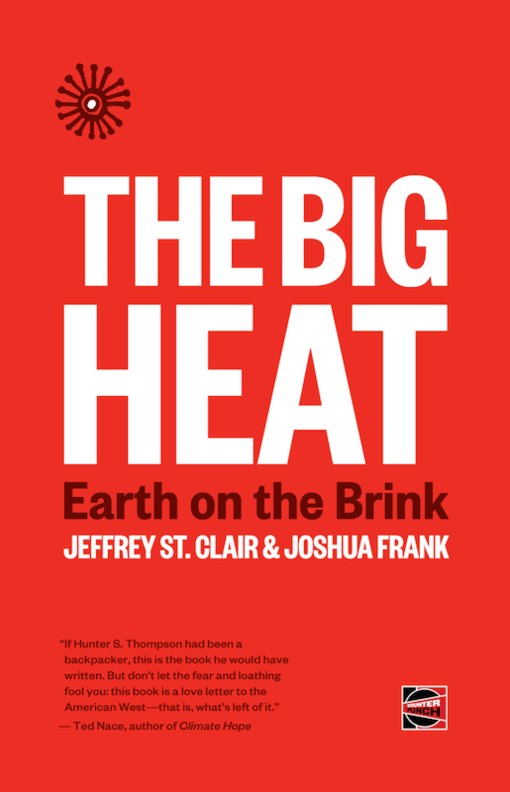 My own introduction to them and to the “merchants of doubt” phenomenon goes back to the early days of Marxmail when a member of the Revolutionary Communist Party in Britain (not to be confused with the Bob Avakian cult) repeated the talking points of Singer and Seitz on global warming. Having abandoned Marxism long ago, the group evolved into Spiked On-Line, a collective around sociology professor Frank Furedi that is the counterpart to the American libertarian magazine Reason.com, with whom they have co-sponsored a conference. What the RCP and the two Freds shared in common was a belief in production for the sake of production as if there was something revolutionary about BP drilling in the Gulf of Mexico. It was only with the growing affinity between Marxism and environmentalism that such crude productivism began to recede, making the field the exclusive territory of those who denounced the environmentalist movement as a watermelon: green on the outside and red at the core. Born in 1911, Frederick Seitz was an accomplished physicist who specialized in weapons research during WWII, ran the training program in atomic energy at Oak Ridge National Laboratory between 1946 and 1947, and was an advisor to NATO from 1962 to 1969. During the Vietnam War, he was an outspoken hawk and became a fervent supporter of Reagan’s Star Wars program in the 1970s. Now all of this would suggest a certain consistency despite its abhorrent character but what would explain his directing a program for R.J. Reynolds that distributed $45 million to scientists who could produce lab results proving that cigarettes were harmless? Did Camel cigarettes belong next to mom, apple pie and the American flag? As it turned out Seitz was grateful to the cancer stick manufacturer for all the money it had donated to Rockefeller University during his tenure there as its president. But there was more to it than money, as is generally the case with the two Freds. Oreskes and Conway point out that Seitz was a genetic determinist who viewed emphysema as a product of bad genes rather than smoking three packs a day. Beyond that he was comfortable around corporate executives of the type that ran R.J. Reynolds who were anti-Communist and dedicated to maintaining their privileges. Seitz was a member of Bohemian Grove, the San Francisco club that was a second home to such men where they can run around naked during the day and discuss corporate mergers over cognac and cigars in the evening. While Seitz would have likely worked for the tobacco company for free, there were perks that went along with it such as free trips to Bermuda. What the film gives you is the spectacle of tobacco company heads testifying before Congress one after another that cigarettes cannot cause cancer. One of the scientific experts Seitz lined up to bolster their testimony was Martin J. Cline, a symbol of the degeneration of science par excellence. In 1980 he transferred DNA into the bone marrow of two patients with hereditary blood disorders against the guidelines of the National Institute of Health and without the approval of the Institutional Review Board at UCLA. This led to his forced resignation as department chair and loss of access to research grants. So when he ended up on the Scientific Advisory Board of R.J. Reynolds, Seitz was doing the job that was expected of him as a recruiter of low lives. Siegfried “Fred” Singer was born in 1924 and is still among the living. Like Seitz, he was a physicist who specialized in military research and also a staunch anti-Communist. He emerged as a “merchant of doubt” in the 1970s when acid rain was the number one environmental problem. Although Singer had a distinguished career as a scientist, by the time the 70s began he was functioning more as a policy expert. During the Nixon administration, he had top posts in the Department of the Interior and the EPA. Oddly enough, he started out as something of an environmentalist writing a book titled “Global Effects of Environmental Pollution” in 1970. So what happened? Apparently he retreated from prior positions because they were too costly to implement. Calculating that $428 billion was necessary to clean up the environment, he concluded that it was not cost-justified. From there he moved more and more to the right, eventually writing articles that were indistinguishable from the press releases that the PR department of major polluters fed to newspapers and magazines. When George H.W. Bush’s blue ribbon panel on acid rain came up with a report that described it as a major threat to forests, lakes and rivers, it was left to Singer to make modifications that left it toothless. To the dismay of his fellow panelists, Singer staked out a position that since nature could not be valued, all efforts to eliminate acid rain were consequently not cost justifiable. Long before the panel’s report was released, Singer’s arguments, which were contained in an appendix, were echoed in Time Magazine, the Wall Street Journal, and all other organs committed to the status quo. In many ways, the intervention by Fred Singer foreshadowed the role he would play in the climate change controversy. Until his death in 2008, Frederick Seitz was the director of the George C. Marshall Institute, a think-tank created in 1984 to counter the Union of Concerned Scientists that had been formed 15 years earlier by faculty and students at MIT. Initial funding came from the Sarah Scaife and John M. Olin Foundations, long-time backers of the ultraright. Most of the Marshall Institute’s energy in early years was devoted to backing Reagan’s Star Wars program but once climate change became a pressing matter, defending energy companies became its main task. Seitz and his cohorts admitted that there was some warming but blamed it on the sun and hence resistant to change. The Bush ‘41 administration welcomed their findings with chief of staff John Sununu waving their report around like “a cross to a vampire, fending off greenhouse warming” in the words of Stanford University’s president. Even though the IPCC rejected the Marshall Institute’s report, that had no impact on Seitz and his co-conspirators who went full steam ahead supplying “experts” to Fox TV, CNN, and any other news outlet foolish enough to take them at their word. Once again, the film is a worthy accompaniment to the book through its ability to personalize some of its major figures as well as a few that were not covered at all. Most intriguing of them was Matthew G. Crawford, a former director of the George Marshall Institute who resigned in 2001 after only a few months once he learned that a senior officer was a registered lobbyist for ExxonMobil. His brief exposure to this sordid world convinced him that he was better off running a motorcycle shop that involved fewer compromises to his integrity. The film also profiles Bob Inglis, a former Republican Congressman from South Carolina who became convinced that greenhouse gases were heating up the climate. After he warned about climate change during an election campaign, an opponent who repeated the talking points of Singer and Seitz clobbered him. The conversion of Crawford and Inglis gives hope for future alliances. For his part, Singer promoted energy company interests under the auspices of the Science & Environmental Policy Project (SEPP) that he founded in 1990. Initially the think-tank was affiliated with the Institute for Values in Public Policy, an outfit funded by Reverend Moon. Some of the principal players at SEPP have long-standing ties to the Unification Church, a major funder of rightwing initiatives including the Washington Times, a frequent outlet for Singer’s articles. “In a series of email exchanges with a global network of climate deniers from Christopher Monckton to the Harvard-Smithsonian scientist Willie Soon, Singer raises the prospect of blocking the film’s release. Fortunately enough for us, Singer never followed through. My recommendation is to read the book and the excellent documentary it inspired. Since climate change is likely to be the terrain upon which some of the greatest class struggles of the 21st century will be waged, it is mandatory to understand our enemies. In lifting up the rock beneath which our enemies lurk, authors Naomi Oreskes and Erik M. Conway and director Robert Kenner have performed yeoman service.